EASTER RUN  dress like the Easter Bunny !! Venue: Olympic Stadium Marousi  car park at junction of Leoforos Spirou Loui and Leoforos Kimis. 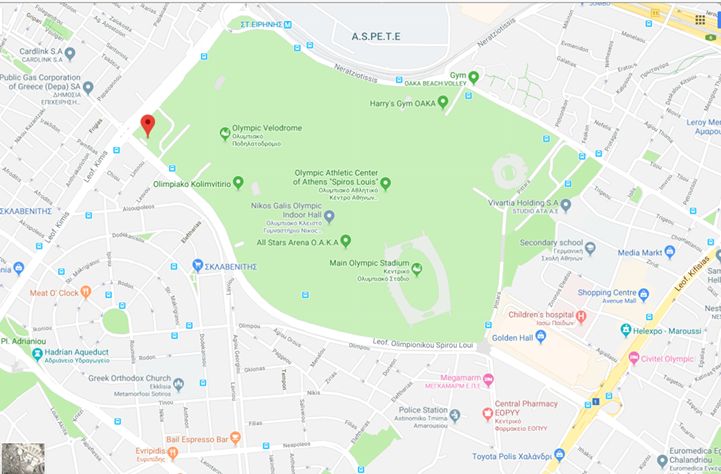 Starting point for the Anglican/Catholic Easter Sunday's Hash will be in the parking lot of the Olympic Stadium in Marousi at junction of Leoforos Spirou Loui and Leoforos Kimis. It is located at the junction of Kymis Ave and Spirou Louis Ave.